Hosted by Sigma Lambda Gamma sorority and co-sponsored by fraternities Sigma Beta Rho, MALIK and Lambda Phi Epsilon, the team raised over $1,000. The event featured participants modeling various styles of dress including casual, throwback, swimsuit, cultural and formal wears down the runway. To keep with the theme of breast cancer awareness, the models wore pink accents on each outfit to celebrate the cause. The looks ranged widely from jeans and sweatshirts to men’s swim briefs and tank tops. Of particular interest was the cultural portion of the night for which the models wore African dashiki shirtdresses and performed a choreographed African-style dance. 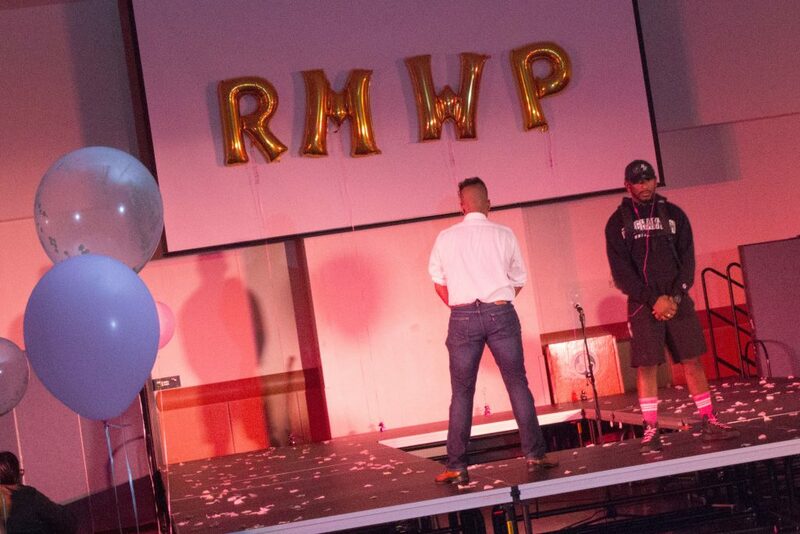 Entertaining over 200 people, the fashion show brought a diverse group of students together to fundraise and gain awareness for breast cancer. This event first took place in 2014, raising $800 for breast cancer survivor Fiorella Aller, who was diagnosed in 2013 with stage 3 papillary thyroid cancer at 23 years old, and in 2014 with stage 3 triple negative breast cancer. For this year, the sorority decided to grow the cause and donate to Susan G. Komen for the Cure, a larger organization with more resources. Susan G. Komen has a presence in over 60 countries and is involved in research, community education, global outreach and public policy related to breast cancer awareness. The show also featured performances from spoken-word poet Jaslyn Rojas, a senior majoring in psychology, and an acoustic performance and song by Haider Mustehsan, a senior double-majoring in political science and sociology. Serdal Jasmin, a senior majoring in cinema, and Adina Matos, a senior double-majoring in political science and psychology, entertained the audience between scenes as the hosts of the show. “Everyone came together for this cause from different [organizations] and different spectrums from the University,” said Belinda Santarelli, president of the BU chapter of Sigma Lambda Gamma and a senior majoring in Spanish. Stephanie Mungroo, Sigma Lambda Gamma’s philanthropy chair and a senior majoring in business administration, explained that the goal of the event went beyond raising awareness for breast cancer. “Aside from this being about breast cancer, it’s also about Greek unity on campus and cultural unity in general,” said Mungroo. The success of this event required extensive planning which began in May and finally came together this semester. From getting models and practicing to selling tickets and even frosting cupcakes, the event required time and hard work. Mungroo explained that the biggest conflict they faced was the different schedules of the models and performers. Desborne Villaruel, an attendee of the show and a senior double-majoring in business administration and accounting, felt that the event meant a lot.